I wear a lot of black, white, grey and navy, and in a bid to brighten up my neutral wardrobe I like throw in a splash of brightness with a statement necklace. One day in the not too distant future (hopefully after ‘Operation Bridal Body’), I will force myself to introduce colour to more than just my accessories… but for now, how amazing would these lot look with a plain white tank and black blazer? I have a newfound obsession with statement necklaces! 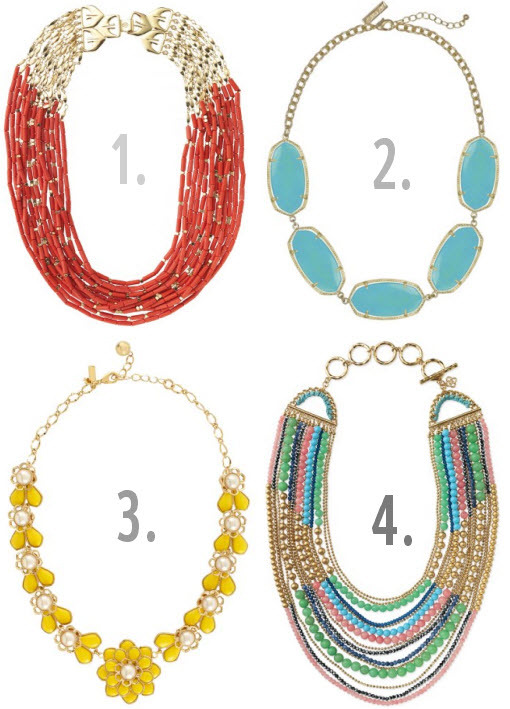 Stella and Dot have such an amazing selection! Love.